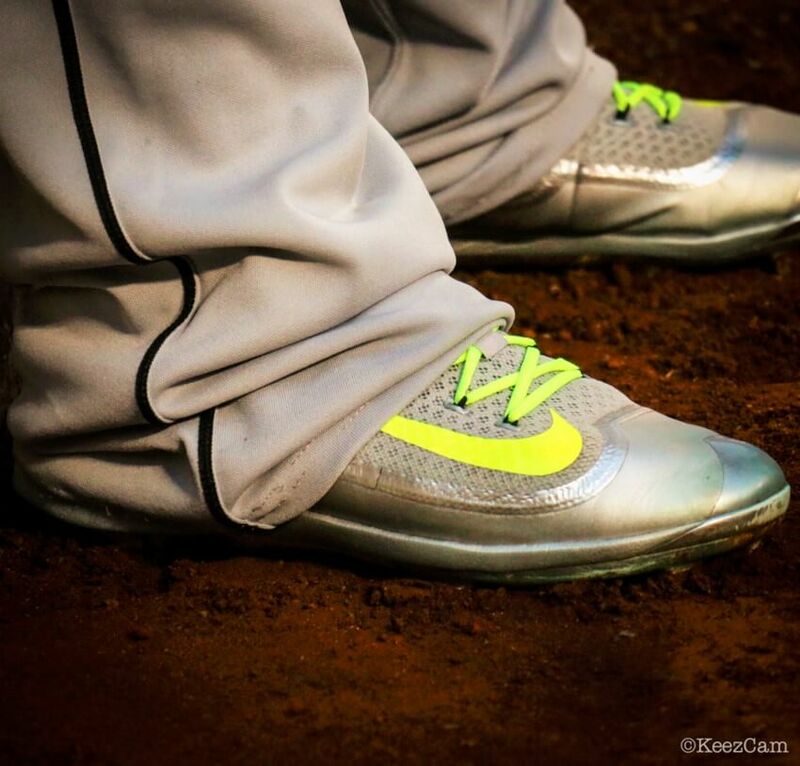 As a look back on the year that was in baseball footwear, I’ve compiled a list of five cleats that I found to be especially meaningful in 2016. I used a few criteria to decide which cleats would make the cut. 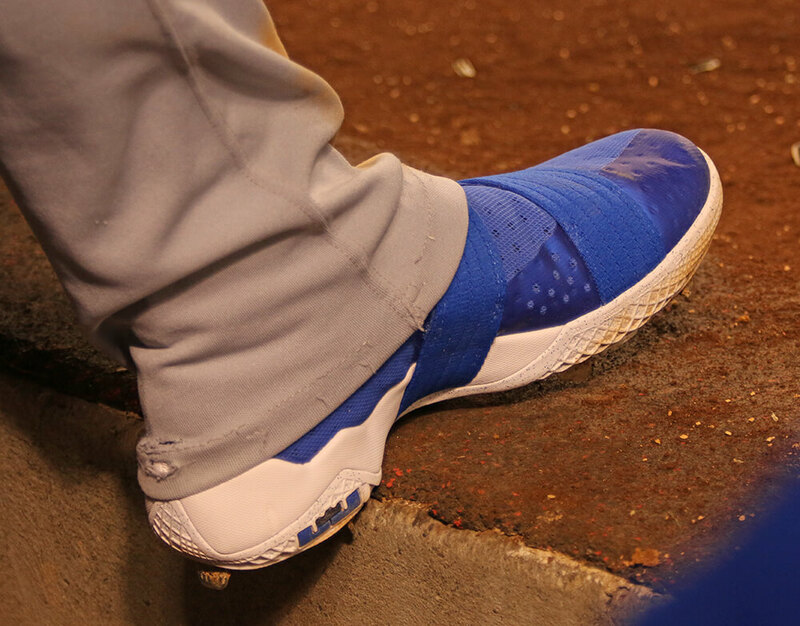 Since this past season was by far the most extraordinary in baseball footwear history, quite a few fantastic customs, PEs, and publicly available cleats didn’t make the cut, but shouldn’t be forgotten, so I’ve selected a couple honorable mentions. To wrap things up I also chose my favorite turf shoe of the year. The criteria used to discern the best of the best include Importance, Aesthetics, Uniqueness, and Wearability. All four categories are extremely subjective, so there’s a good chance that I don’t have the same ratings as you. As I mentioned, this past year has been outstanding, so please let us know what was your favorite footwear of 2016. Importance refers to how significant the cleat is to the baseball world, if the cleat tells an important story, etc. Aesthetics refers to if I, in my own personal opinion, think the cleat is clean or fire. As a disclaimer, I’m not a fan of the standard customs with camo or splattered/smeared colors; I just think it looks sloppy. That said, to each their own. Uniqueness refers to how unique the cleat is. If you ask the question, “Are there any other cleats like this?”, the score should reflect that answer. Another way to think of this category would be Distinctiveness. 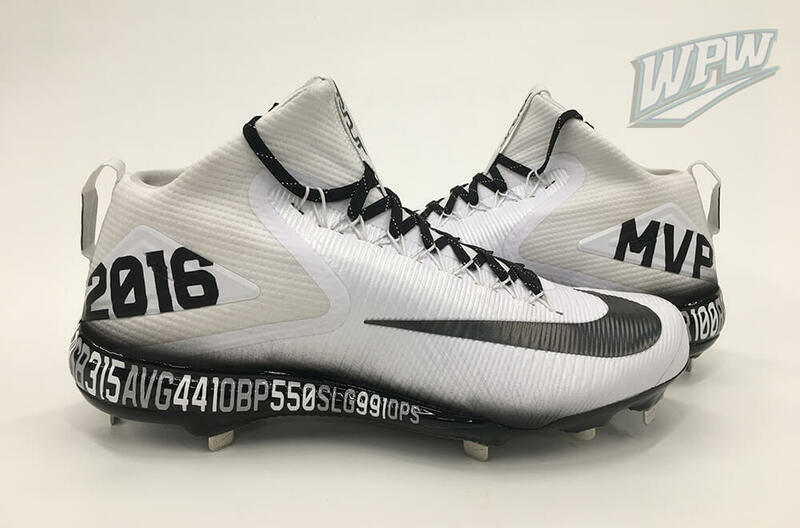 An example of a highly distinctive cleat would be Dominic Smith’s Future’s Game customs since there are no other cleats like it in terms of colorway or boldness. Wearability refers to if I would be comfortable playing in that cleat. 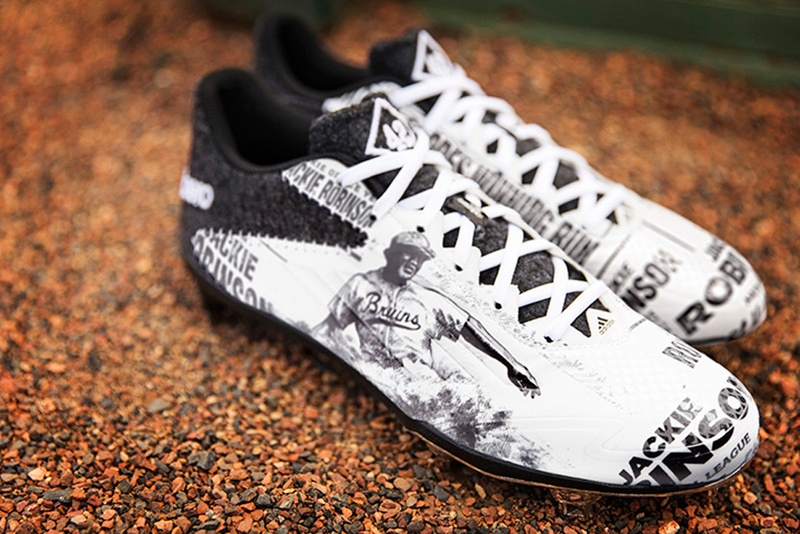 For example, the Jackie Robinson Day Adidas Afterburner 3 is the best looking cleat of the year in my opinion and the second most important. However it scores poorly on Wearability since I would only wear it on very special occasions since portions of the upper are wool. 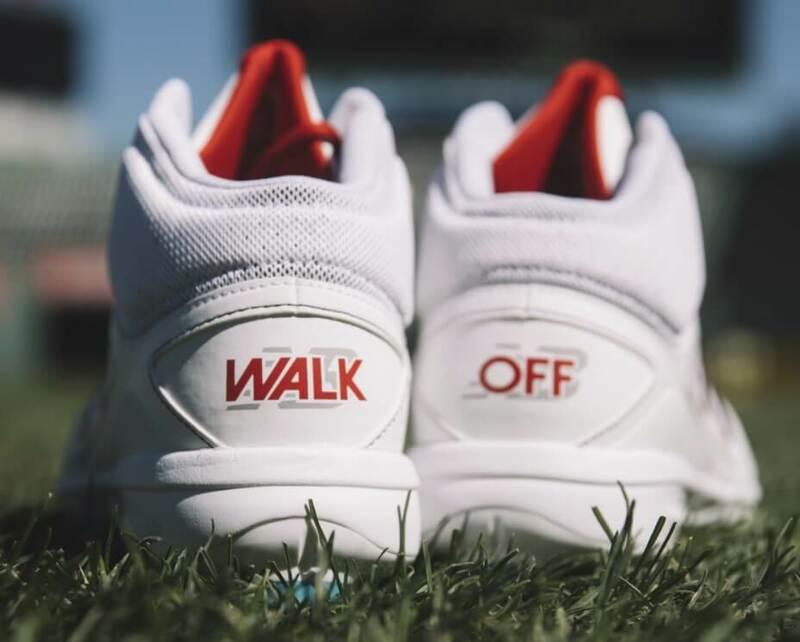 The turf category has to be refined down to shoes sold specifically as turf shoes, not just any shoes that appeared at batting practice last year. 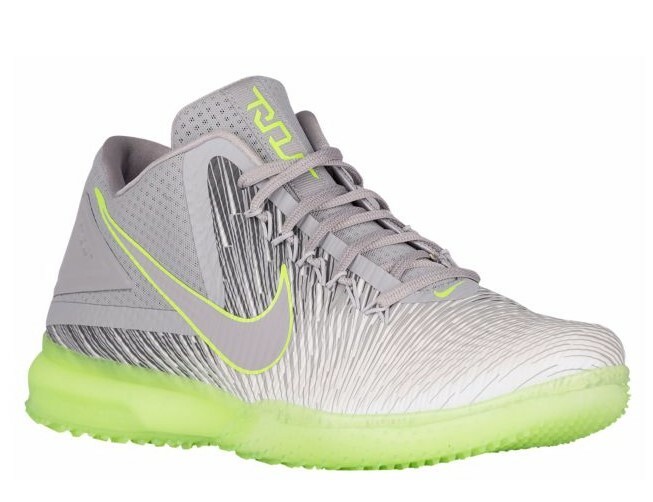 So when the scope of turf shoes is the Trout 3, 3000v3, Deception, and Speed Trainer, the only possible choice is the Trout 3 (link to Eastbay). To narrow it down to a specific colorway is trivial as most of the colorways look equally good, so I chose the one with the greatest significance, the All-Star Game edition. Due to being a turf shoe, the Importance really had no chance of getting anything greater than a 1. Aesthetically, this turf literally shines. Another strength is Uniqueness. 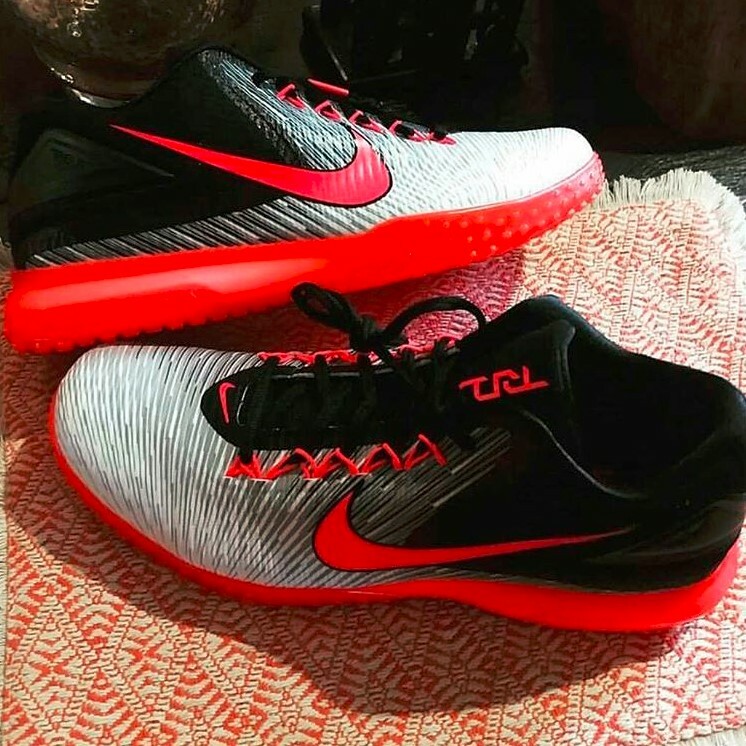 There aren’t any baseball specific turfs like the Trout 3. I think this is a turf that looks good enough that I’d wear it around everyday, not just to BP or the cages. The Trout 3 stands out. 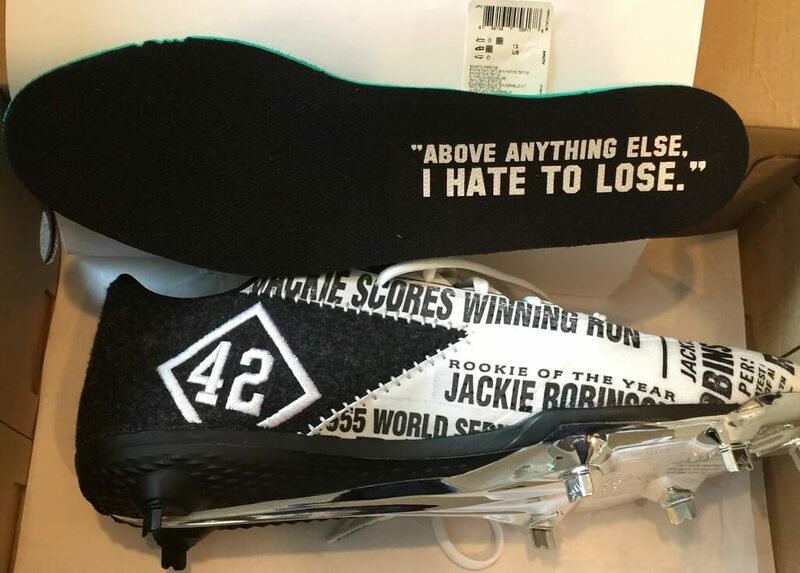 Celebrating Jackie Robinson breaking the color barrier, very few cleats can compare the gravity conveyed by this cleat. 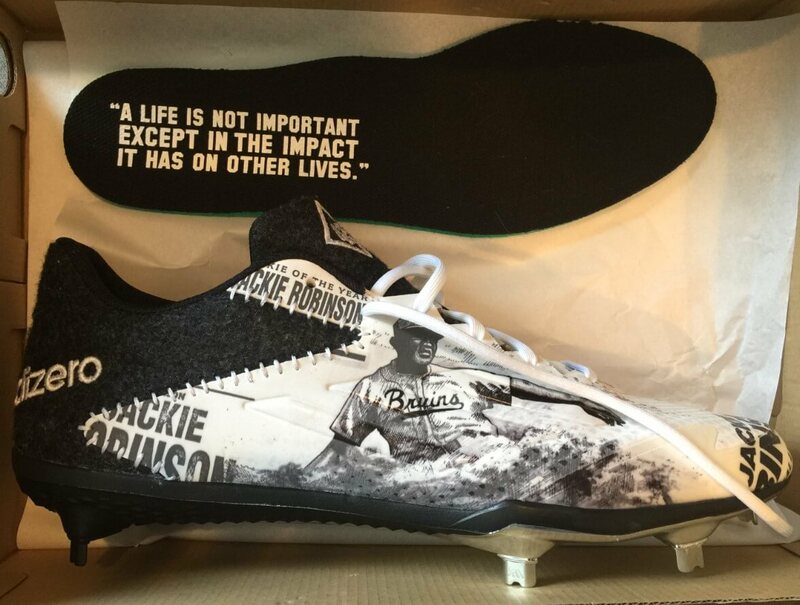 Featuring numerous details from Robinson’s historic career and a woolen collar, this is the most aesthetically pleasing cleat I’ve ever seen. It may even be the finest shoe in general I’ve ever seen. It certainly doesn’t hurt that the Afterburner 3 is my favorite model ever. The Adidas Energy Boost Icon 2 from the same pack is the only cleat with any similarity to this spike. Wearability also suffers from the woolen collar as mentioned above. Aside from adidas, you can also get the Afterburner 2 at Eastbay. tiz’s career also leaves something to be desired. Unfortunately, the colorway of this PE isn’t that unique. The only real separators are the graphics, which aren’t the most noticeable. If I had these bad boys, I’d rock ‘em everyday. 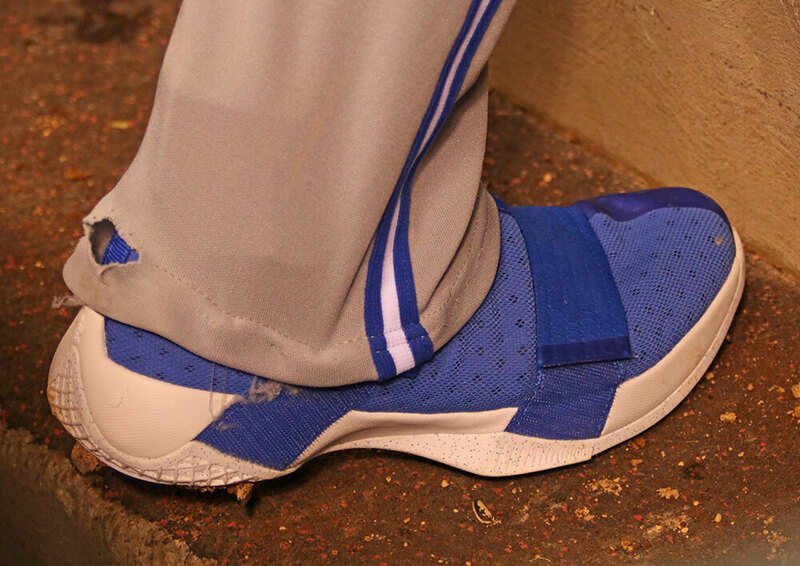 Josh Donaldson broke these bad boys out at the end of the year in time for the Blue Jays’ Wild Card push and into the playoffs. 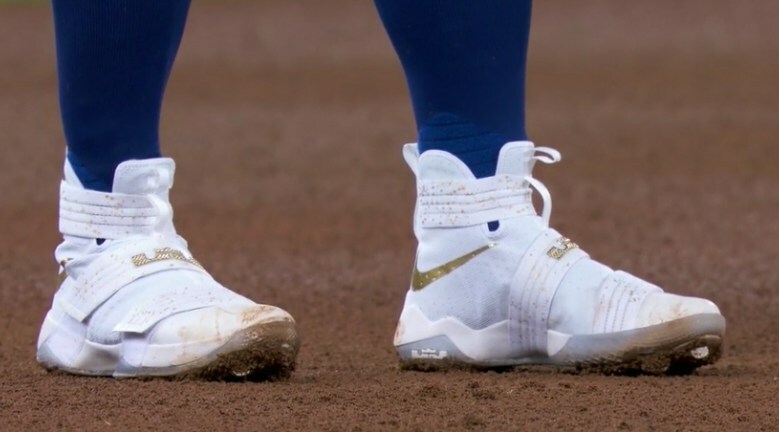 Originally released by Nike to celebrate Lebron and the Cavs 2016 championship, Donaldson adapted his pair in an attempt to capture some of that Cleveland luck. Aesthetically, I love the combination of white and gold and think this model works far better as a baseball cleat than as a basketball shoe. As the sneaker was publicly released, one could do this conversion themselves. 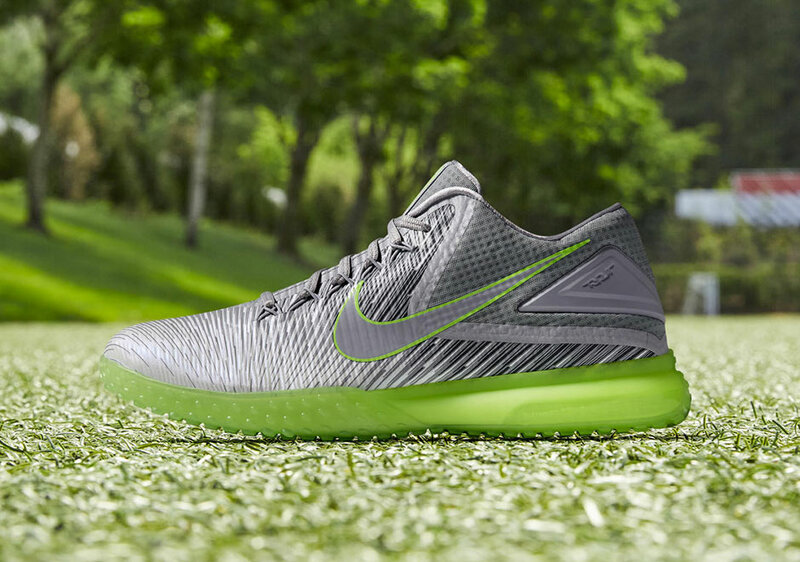 No other shoe looks anything like the Soldier X. 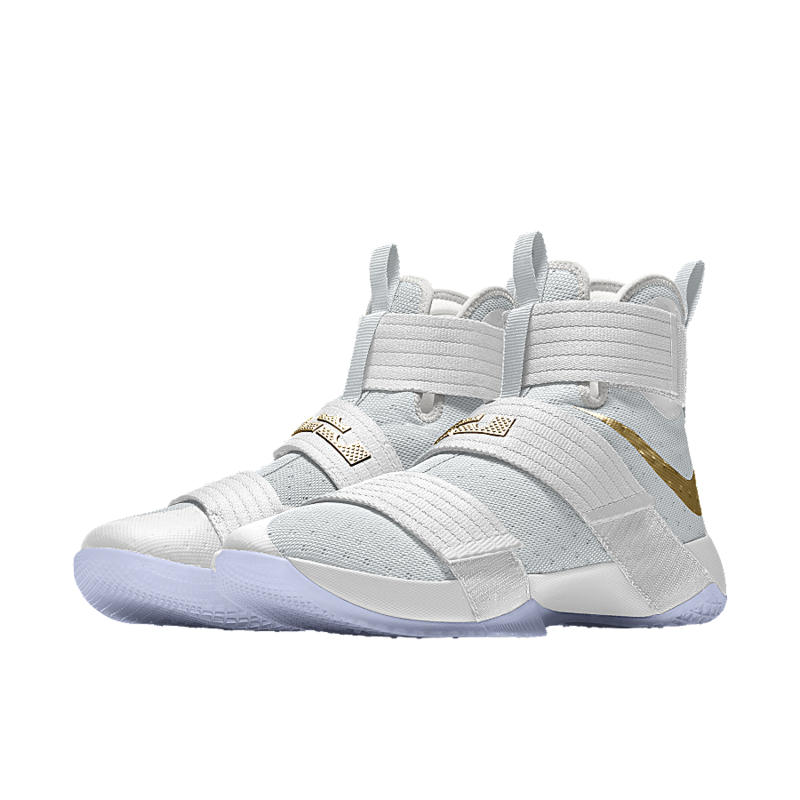 If you are interested, you can create a replica on NikeID. The superb look and comfortable upper mean I definitely would wear these everyday, even though they’d get crazy dirty. The Soldier 10 are available in a RIDICULOUS amount of colorways at our partner Eastbay. Created by Mache for the 2016 Future’s Game held in San Diego. Dominic Smith exists in one of the smallest groups of individuals possible… LEGIT first base prospects. 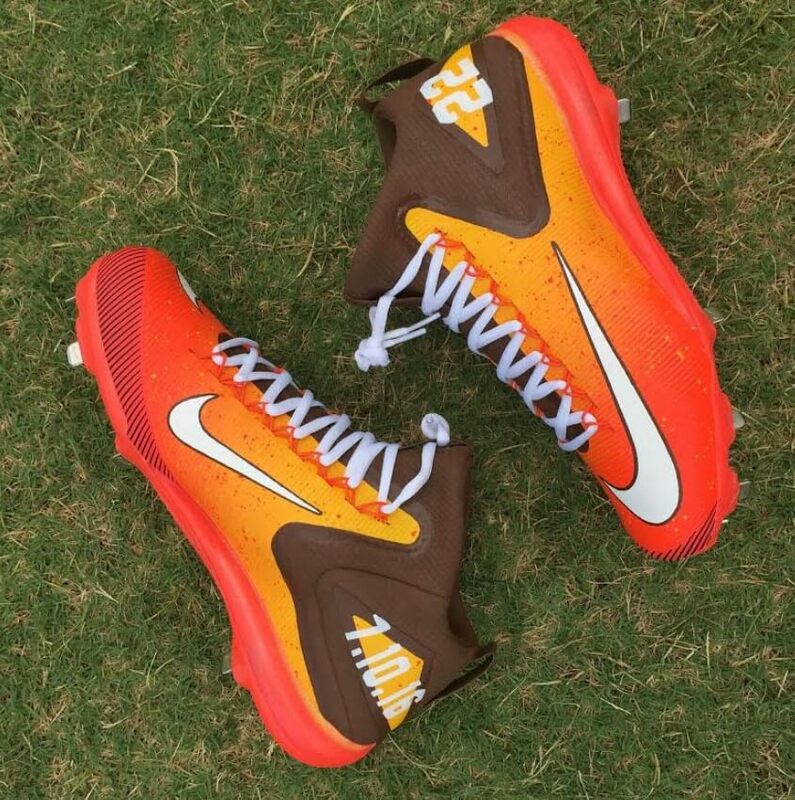 Wrapped up in classic Padres’ gold and brown hues with splashes of orange, this cleat is simply fire. 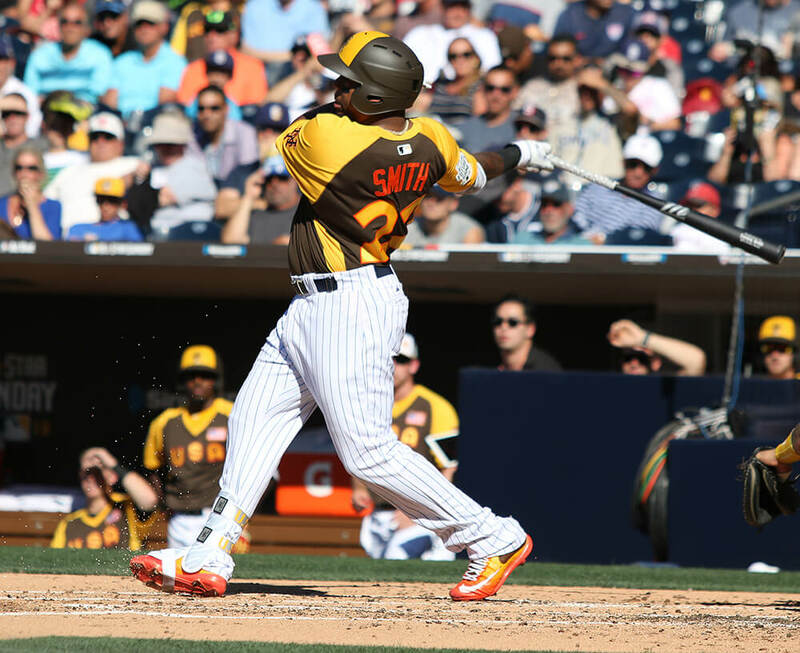 Padres colors with a bright orange midsole? Nothing compares to this custom. 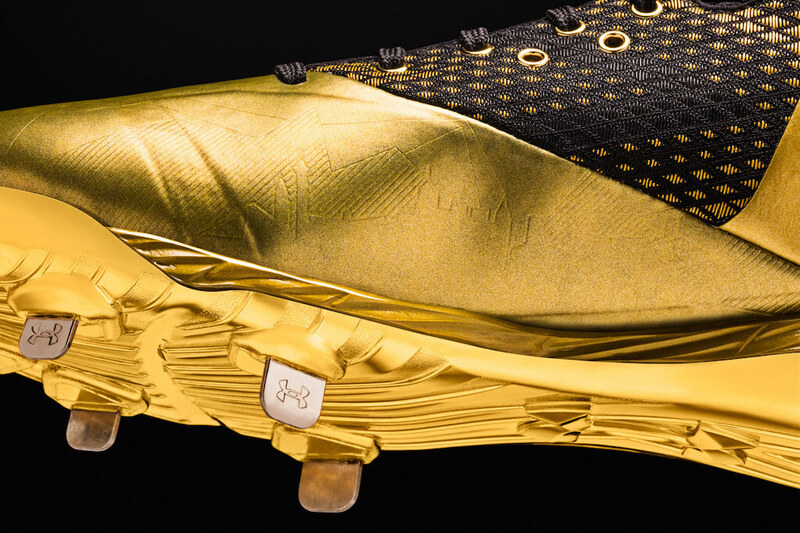 It is the most unique cleat of the year. Unfortunately, I can’t see myself wanting to wear Padres colors everyday (heck, even the Padres can’t see themselves wearing Padres colors everyday), so wearability takes a slight knock. 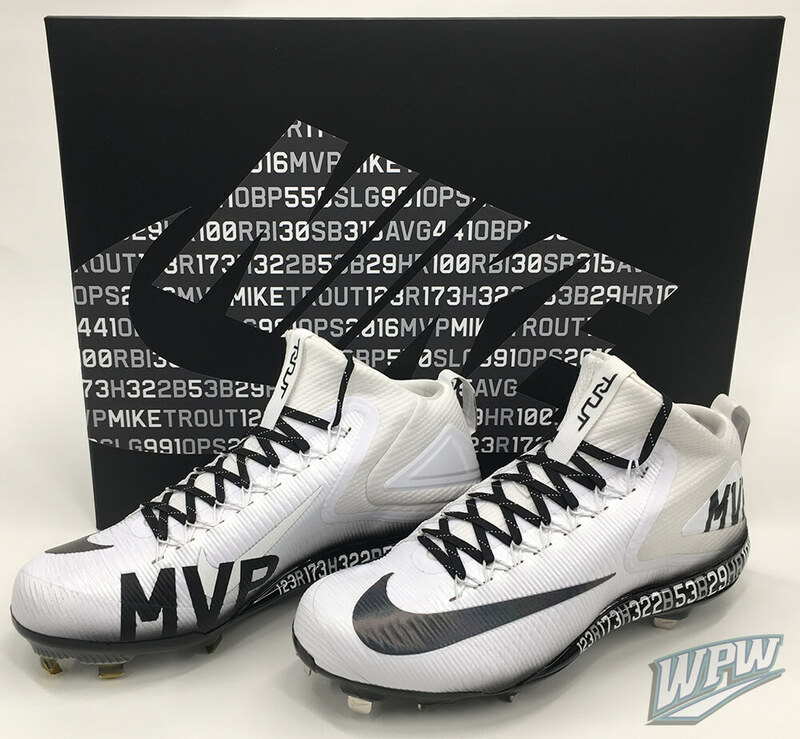 Under Armour’s Cleat of the Year, the Harper One “Unanimous”, celebrates Bryce Harper’s Unanimous 2015 MVP award. Decked out in a black and gold woven upper and a chrome gold plate, there are few cleats that can compete with the audacity of this edition of the Harper One. 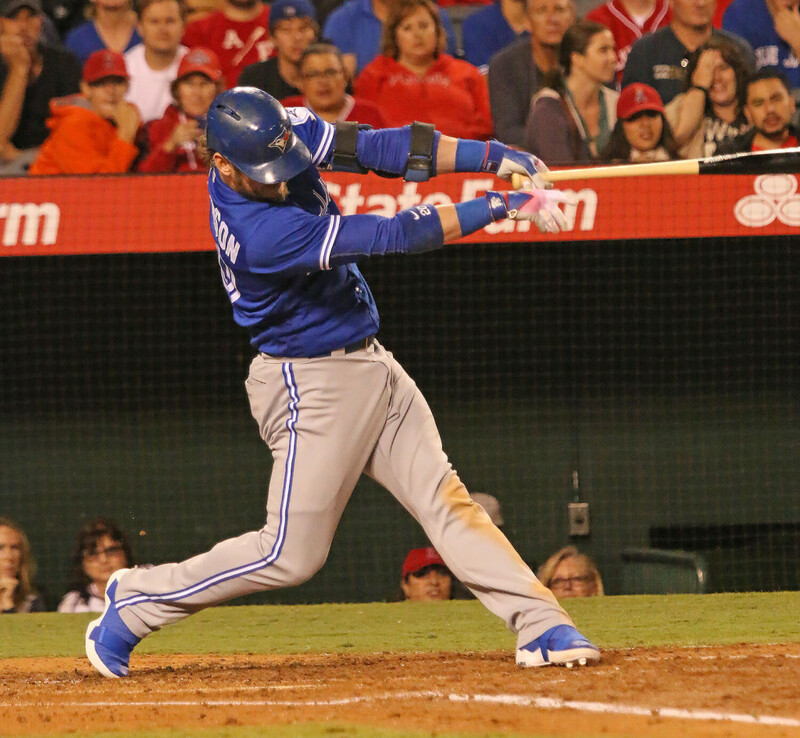 The lack of details celebrating Harper’s Bonds-ian season holds back the “Unanimous” edition. 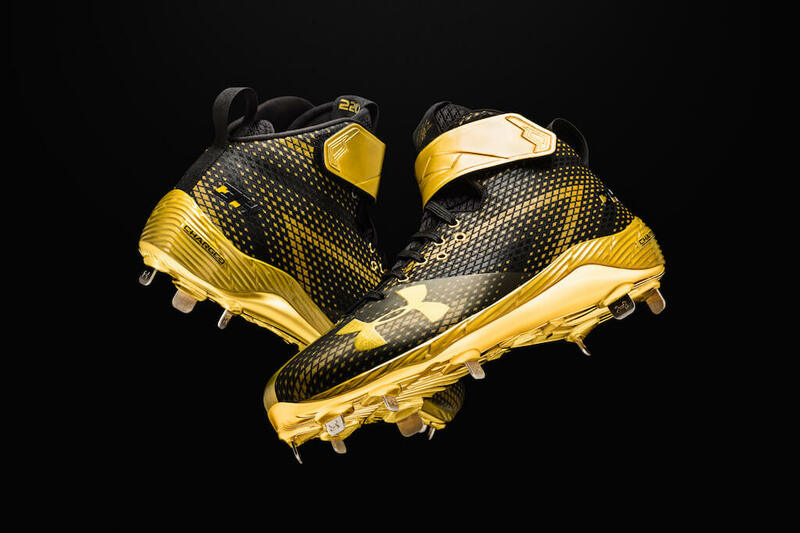 The only thing keeping the Harper One from being a unique look in the baseball world are Under Armour’s other offerings in similar colorways, namely the Deception DT in black and gold. 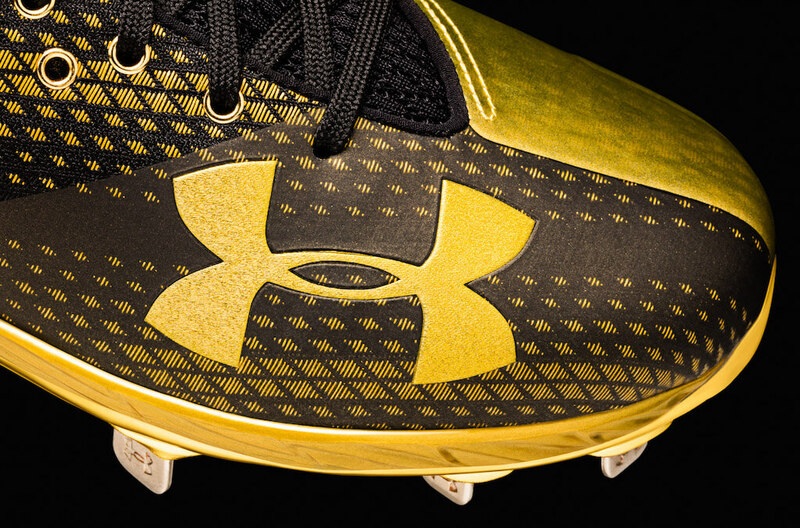 The “Unanimous” edition can still be purchased on UnderArmour.com as a “Limited Edition” cleat. The Harper One looks great and very comfortable. I’d be thrilled to trot these out for every game of a season. Buy them here. Losing Jose Fernandez will always be one of baseball’s most devastating losses. Watching Fernandez pitch was exhilarating for so many reasons, and his effortless flair was certainly one of them. As a remembrance of his unique style, abilities, and transcendent personality, I chose this pair of PEs as my favorite of the year and they will be part of what I remember about him. Mike Trout received his second (many believe it should have been his 4th and arguably 5th) MVP trophy in his absolutely ludicrous 5-year career this past November. 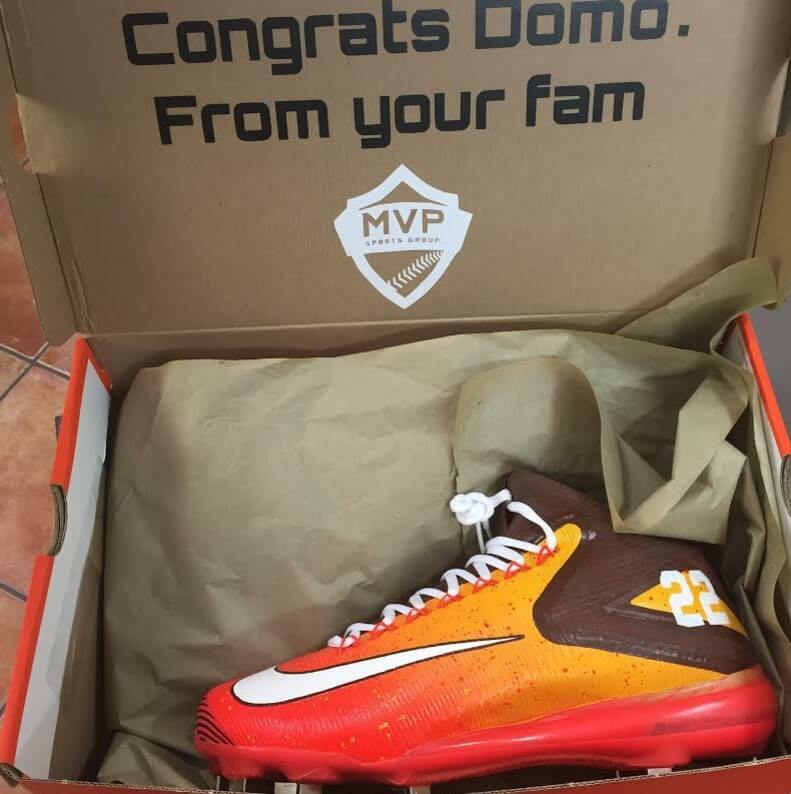 Nike celebrated his second actual MVP with a tremendous pair of cleats. 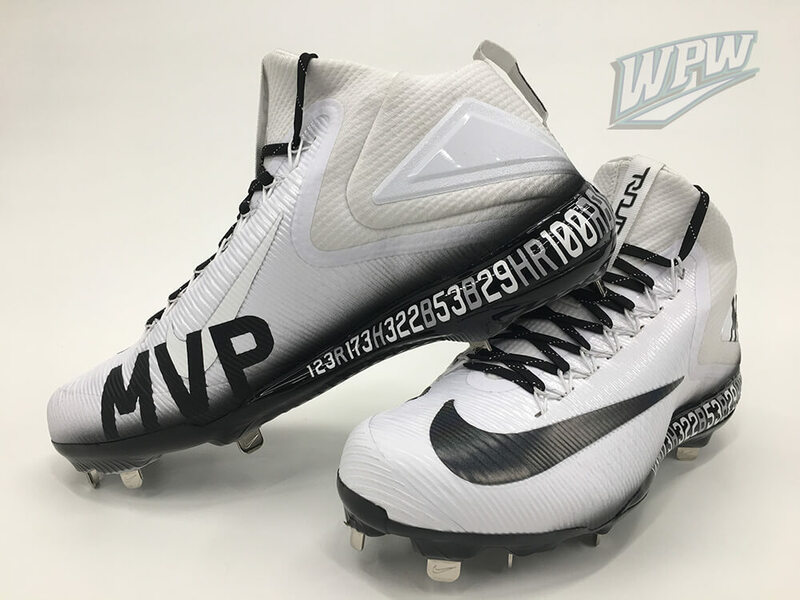 Mocked up in a simple black and white colorway, with stats laced into the sole, this is a cleat I can get behind. It would be nice to see some Angels red hits highlighting specific achievements or league leading totals. This pack belongs solely to Trout, so we can’t expect it to release anytime soon. I love stats. I love Trout. I love subtle colorways. 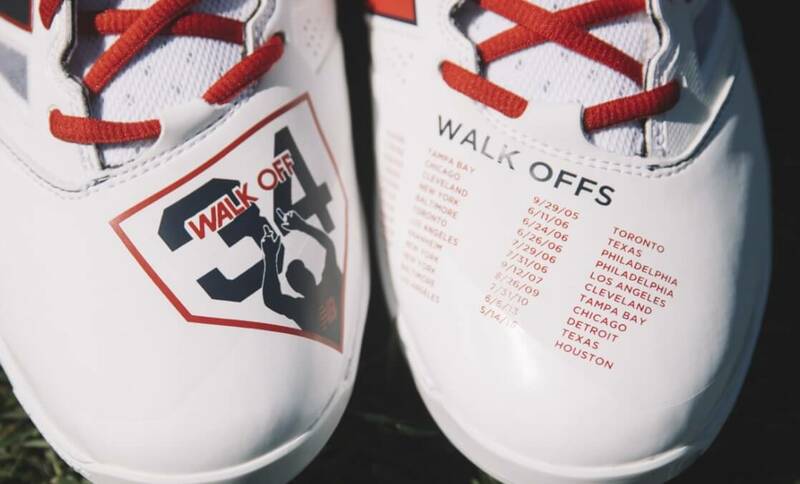 I would certainly wear these for all 162. Adidas excels at creating cleats to celebrate individuals and achievements. 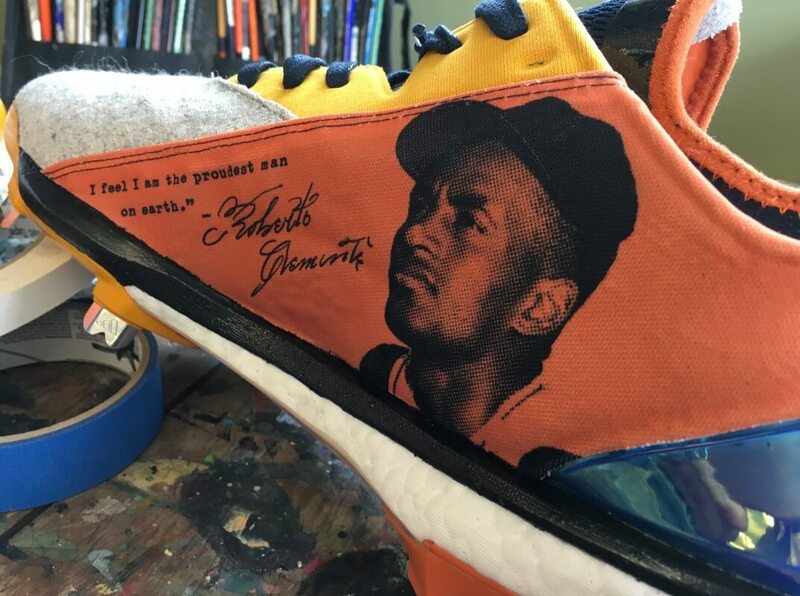 Handmade for Carlos Correa, celebrating his fellow Puerto Rican Roberto Clemente, Adidas killed these Afterburner 2s. 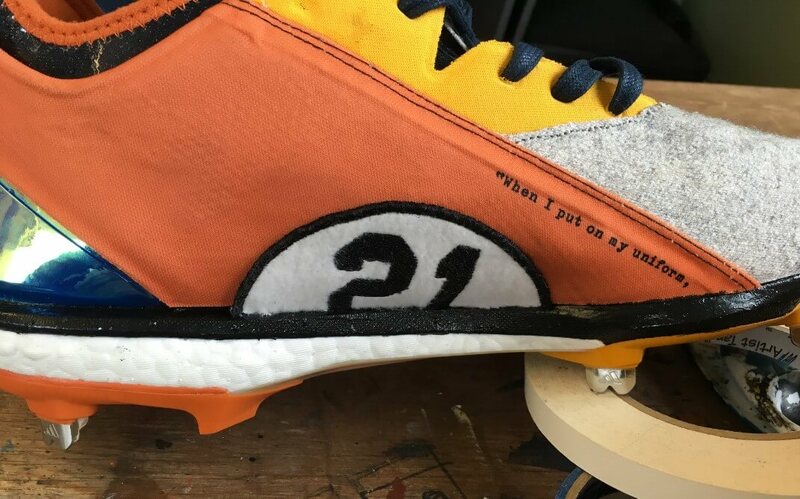 These cleats are an ode to the classic style of Clemente’s 60’s, a decade in which he stood shoulder to shoulder with all-time greats Hank Aaron, Willie Mays, and Frank Robinson. They are constructed from a woolen textile and have a few hand stitched patches. 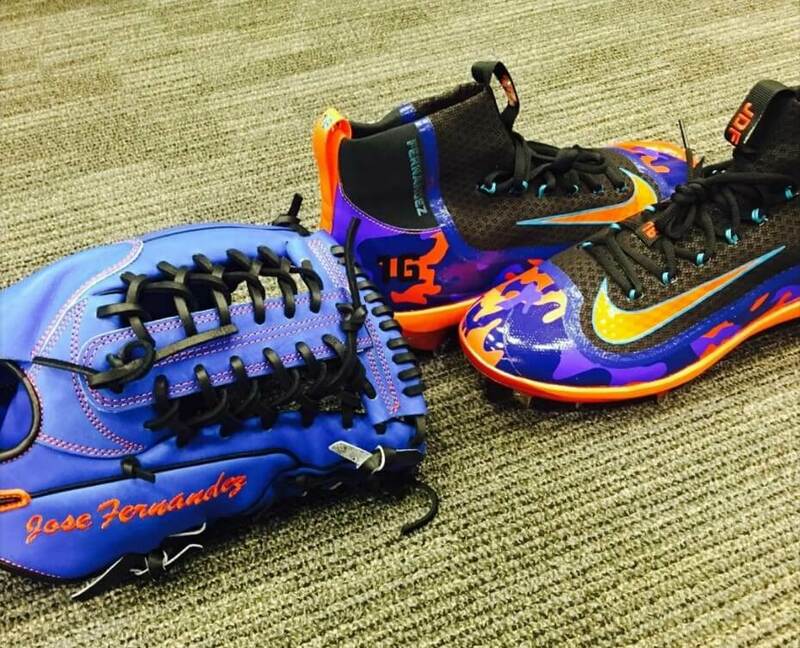 The colorway is striking and the iridescent heel cup ties Correa’s flashier generation with his hero Clemente’s. 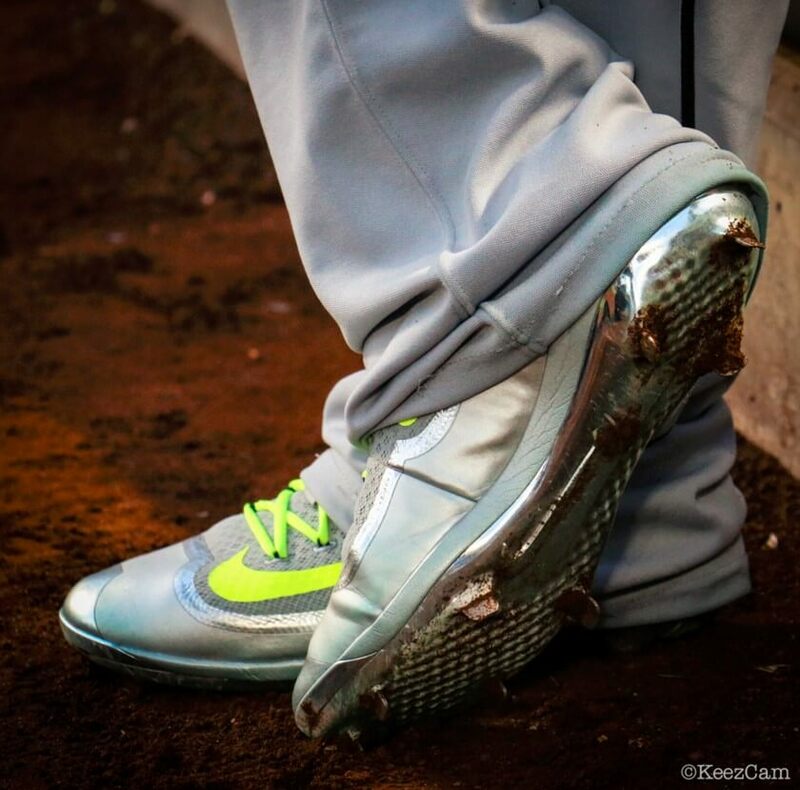 These may not be the most wearable cleats, but I’d get as many dingers out of them as I could. 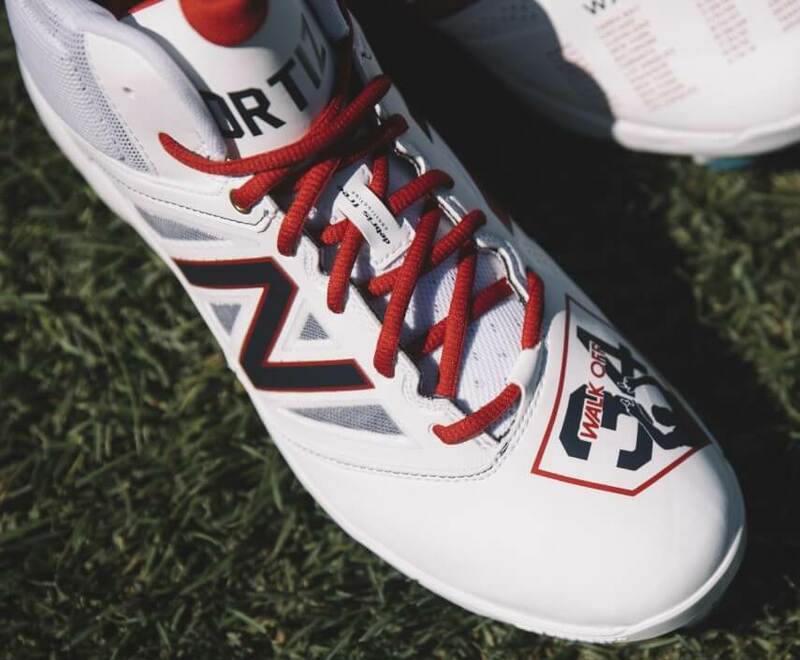 Let us know what you think, and please POST YOUR FAVORITE CLEATS OF THE YEAR and tag @WhatProsWear on Twitter or Instagram. We’ll repost our favorites.